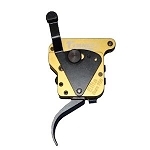 The Calvin Elite Custom replacement trigger for the Model 700 is latest offering in the best-selling and industry leading Calvin Elite line. Though the Calvin Elite Custom boasts the same customer favorite and shooter preferred internals as the Calvin Elite line of triggers, that’s where the similarities end. 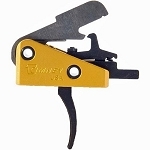 The trigger comes with a total of four different shoes that include curved, flat, heeled, and knurled. All necessary tools for fitting and adjusting shoes are included. 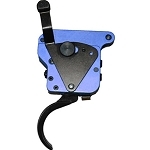 One key feature of the trigger is the shoes are fully-adjustable for a custom fit for every user and application. The shoes are adjustable for length of pull, cast and height for the ultimate in custom comfort and positive contact. Additional shoes are available in a variety of color options. Red shoes are included standard with all triggers. 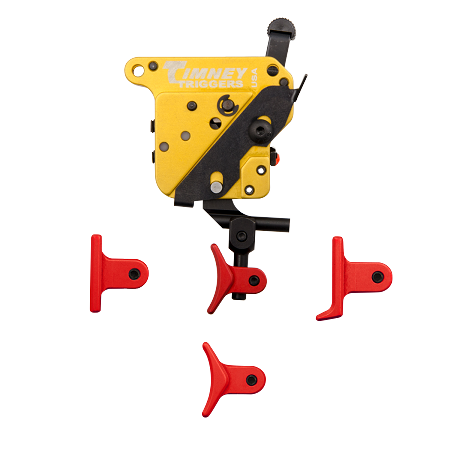 The Calvin Elite Custom is backed by the foremost name in precision triggers – Timney.